You think something is missing ? Simply send it to us for adding. Its as simple as that ! Lists: Lists are essential to the organization of content. eg: List of Jyotirlingas. Lists of Shiva temples by location. Stubs: If you do not have the time to write a full article, consider writing a “stub” – just a few sentences, to help form the framework. Over time, others can contribute and grow it into detailed content. Temples in different cities, states, and countries. 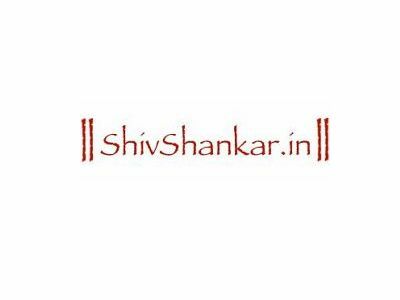 Authentic information and articles on forms of Shiva, in India, and abroad. Some references on the Internet exist. Can you visit, research and provide authentic information ? Eg: Japan: Daikokuten (大黒天), god of great Darkness or Blackness, one of the Seven Gods of Fortune, evolved from the Hindu deity, Shiva. Tibet: The literal translation of Mahākāla is “Nagbo Qenbo” (Tibetan: ནག་པོ་ཆེན་པོ།), Tibetans also say “Goinbo” (མགོན་པོ།) [the translation of the Sanskrit word Nāth meaning “lord” or “protector”]. Afghanistan: Gandhar (modern Kandhar) was home to Gandhari. Indonesia: Batara Guru (Manikmaya, Lord Shiva) is the god who ruled the heavens. Health: health benefits of rituals associated with Lord Shiva. To contribute to this section, you have to be professionally qualified. Doctors preferred.. Stories about Lord Shiva, Legends. Translate: You like an article or a story ? Tell it to us again in a language you know…. Noteworthy projects being undertaken in the name of Lord Shiva. Our website is new, so as of 2012, there are good chances that you are writing a brand new article, or the subject has enough depth for an article of its own. However, its a good idea to search our website to check if the article already exists, or the article simply needs some additional information. Photos. Photos. Photos. Lots of them. Without watermarks please. Bad photos will be replaced gradually as better photos come in.